From terrifying missile tests, its unmissable Olympic cheering squad, and the war of words between President Trump and Kim Jong Un - not to mention stranger-than-fiction stories of purges and assassinations - news from North Korea has dominated global headlines. But what is life there actually like? 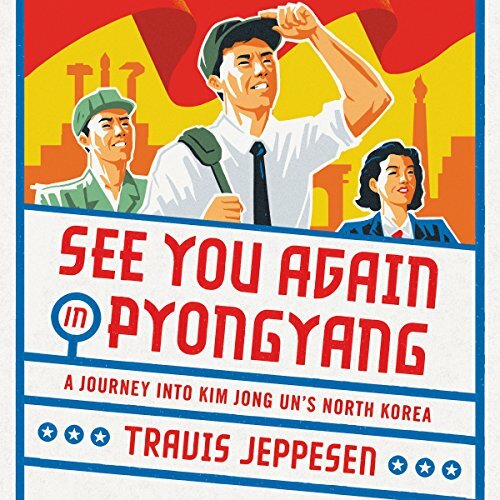 In See You Again in Pyongyang, Travis Jeppesen, the first American to complete a university program in North Korea, culls from his experiences living, traveling, and studying in the country to create a multifaceted portrait of the country and its idiosyncratic capital city in the Kim Jong Un Era. Anchored by the experience of his five trips to North Korea and his interactions with citizens from all walks of life, Jeppesen reveals how the North Korean system actually functions and perpetuates itself in the day-to-day, beyond the propaganda-fueled ideology. He challenges the notion that Pyongyang is merely a "showcase capital" where everything is staged for the benefit of foreigners, as well as the idea that Pyongyangites are brainwashed robots. With unique personal insight and a rigorous historical grounding, Jeppesen goes beyond the cliches of "taboo tourism" and the "good versus evil" tenor of politicians and media reports. See You Again in Pyongyang is an essential addition to the literature about one of the world's most fascinating and mysterious places.